Sitting in the center of Ontario’s technology hub, the Waterloo Region chapter of Habitat for Humanity International has helped reduce poverty and homelessness since 1988. The organization manages massive volunteer efforts to build houses for those in need, on the condition that they themselves are willing to give 250 hours of their time. They also manage a ReStore initiative, where individuals can buy second-hand, previously donated items such as cabinetry, furniture and building materials. Between home builds and managing ReStore, Habitat for Humanity Waterloo Region relies on donation and volunteer management. Unfortunately, their outdated systems made both critical tasks a challenge. Each time the nonprofit received a donation, their staff needed to perform six separate tasks. Processing, reconciling, allocating, tracking, receipting and acknowledging all involved separate systems and procedures, with additional complication created by the need to switch between in-kind and monetary gifts. That meant spending considerable time on each of their many incoming donations, as well as opening the door for human error. On top of this, their complex volunteer needs required a sophisticated management system, and most that they identified would be difficult to connect with their support database. 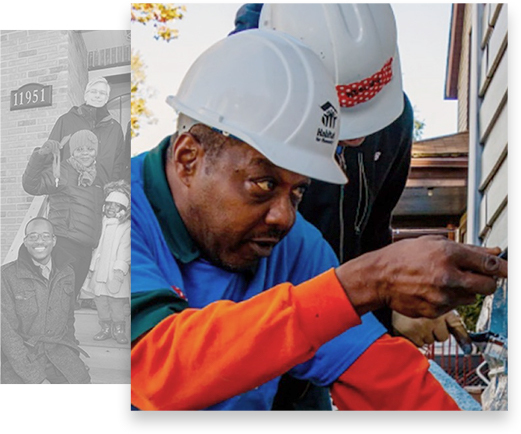 Habitat for Humanity Waterloo Region knew that a modern CRM could solve its challenges and free its staff to take on more valuable tasks and projects. Seeking automation throughout its donation and volunteer processes, the organization was led to Causeview. Built atop the Salesforce platform, Causeview is a cloud-based fundraising management solution that includes the end-to-end functionality that Habitat Waterloo required. With Causeview, they are excited for the automation that will reduce the touch points on a donation from six to just one. With fully integrated online donation pages and transaction processing, a donation will flow right into the organization’s CRM, which will provide the donor a receipt and acknowledgement without needing any involvement from the Habitat staff. Causeview’s Volunteer Portal will also provide the perfect tool to manage the organization’s extensive support network. Volunteers can log in to manage their tasks and hours, with all of the data immediately available in Habitat Waterloo’s CRM for tracking and reporting.